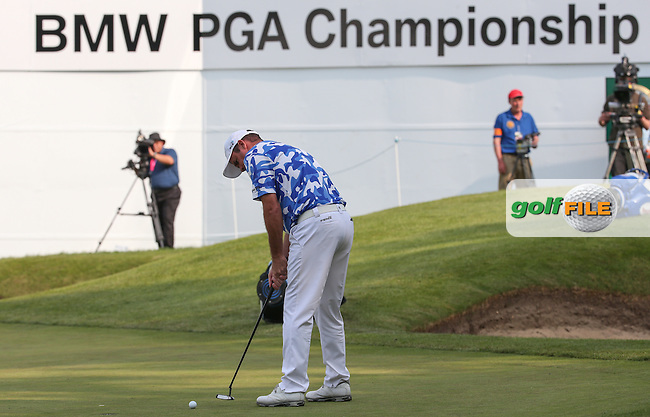 Consecutive eagles on the last make it the lucky hole for Scott Hend (AUS) during Round Three of the 2016 BMW PGA Championship over the West Course at Wentworth, Virginia Water, London. 28/05/2016. Picture: Golffile | David Lloyd. All photo usage must display a mandatory copyright credit to © Golffile | David Lloyd.